Chef/Owner Frank Della Sala impresses and delights your guests with spectacular dishes at affordable prices. Della Carts Catering can create a customized menu for you that matches the theme or demographic mix of your event, or welcomes you to choose from a menu featuring a diverse selection of culinary specialties. 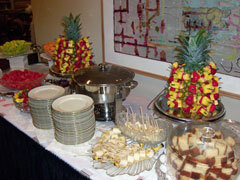 Della carts Catering brings you the finest staff in corporate and social catering. Their commitment to excellence and attention to detail is uncompromising. 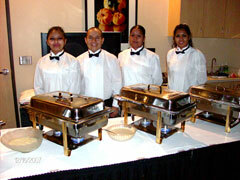 Della Carts Catering boasts a proven track record in superior customer service and product quality. 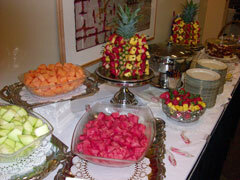 Della Carts catering offers healthy and festive cuisine for any occasion. Whether you're planning an intimate dinner for 10 or an elaborate celebration for 10,000, Della Carts Catering believes the cuisine featured at your event should exceed the diverse expectations of your guests. 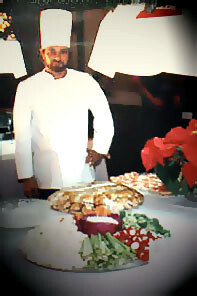 Chef Della Sala is passionate about food, presentation, and preparation. He ensures the cuisine created for your event is made from the freshest seasonal ingredients with great attention to both flavor and presentation. As a full service catering company, Della Carts Catering in Houston takes care of every detail for your corporate catering, personal catering, or wedding catering needs. Call today for your free pricing quote and event consultation. 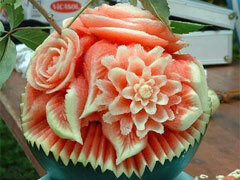 Our commitment to excellence and attention to detail is uncompromising!